Wednesday, 28th February will be remembered by the residents of Maamba for one of the heaviest recorded rainfall in a day in the recent times. On this night, Sinazongwe District recorded over 110 mm of rainfall within four hours. 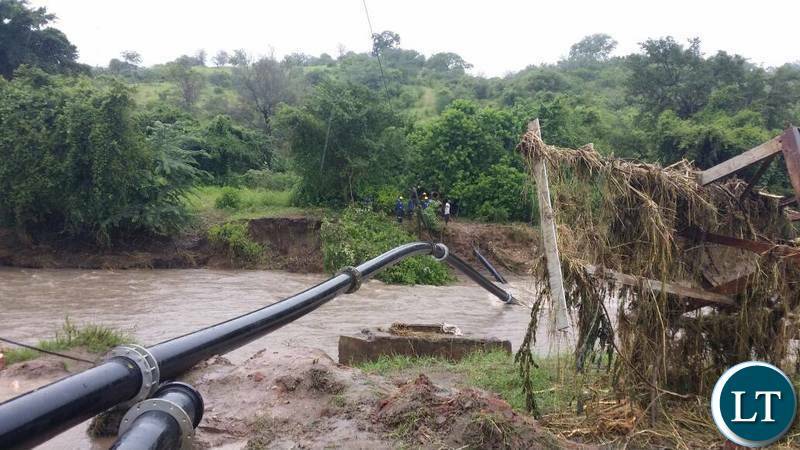 This unprecedented deluge caused large scale flash flooding in the District and in Maamba, the home of Zambia’s 300 MW thermal power plant, Maamba Collieries Limited. In its wake, the flash floods damaged and washed away portions of the water supply lines from Lake Kariba to the Southern Water and Sewerage Company Limited (SWASCO) water treatment plant, sewage lines of the township, and parts of the SWASCO pipeline from the plant to the town, leaving the residents of Maamba without access to drinking water or water for the households. 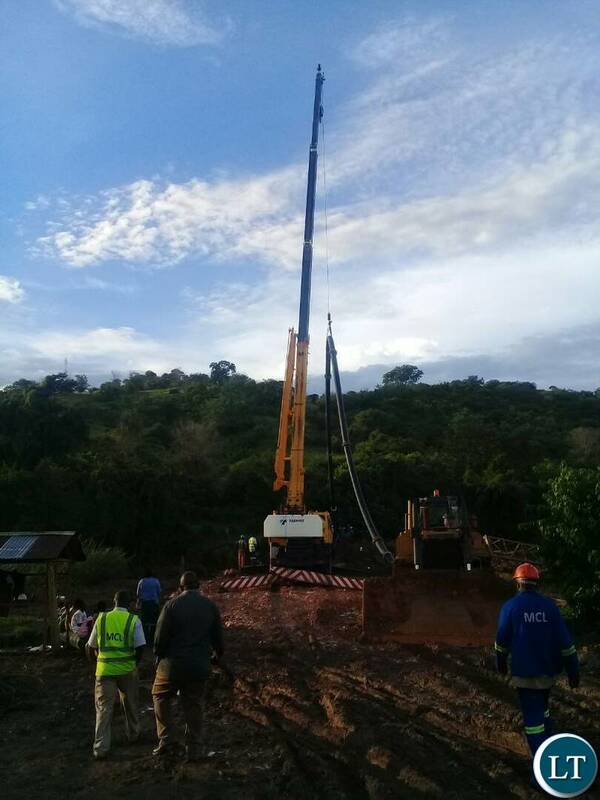 Even as the rains started easing and water levels started receding, Maamba Collieries Ltd. (MCL) engineers swung in to action to render aid to the Maamba Community. Quickly assessing the damage and working in wet weather, MCL’s team decided to restore the pipelines with its own infrastructure. 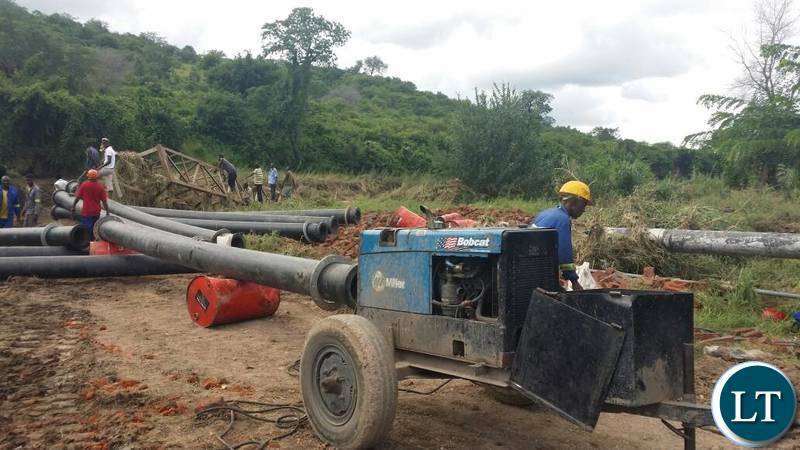 MCL Mine Manager Engineer Scott Phiri said: “MCL is working on laying a High-Density Polyethylene pipe to the town as a temporary measure to restore water supply to the residents of Maamba”. The management of MCL also decided to supply the highly purified water used in the thermal power plant by its water tankers to tide over the drinking water crisis in the residential areas. MCL staff and Management are collaborating and working with officials from SWASCO and the local officials to restore water to SWASCO’s water treatment plant from Lake Kariba. The process to fully install the High-Density Polyethylene pipes was completed by Saturday evening. MCL is also assisting SWASCO in transporting pipes from outside the district to Maamba to replace washed away sewage pipes. MCL is Zambia’s largest Coal Mine and operates Zambia’s only coal-fired 300 MW Thermal Power Plant at Maamba in Sinazongwe District. Thank you Maamba Collieries, you are a true corporate citizen and responsible investor. We expect displeasure by those who take pleasure in seeing people, their fellow citizens, suffer so that they can have achance to criticise the government. For them every day its politics of getting into state house, but ending up in Mukobeko. Tomorrow is monday, expect something scathing from his weekly press briefing. 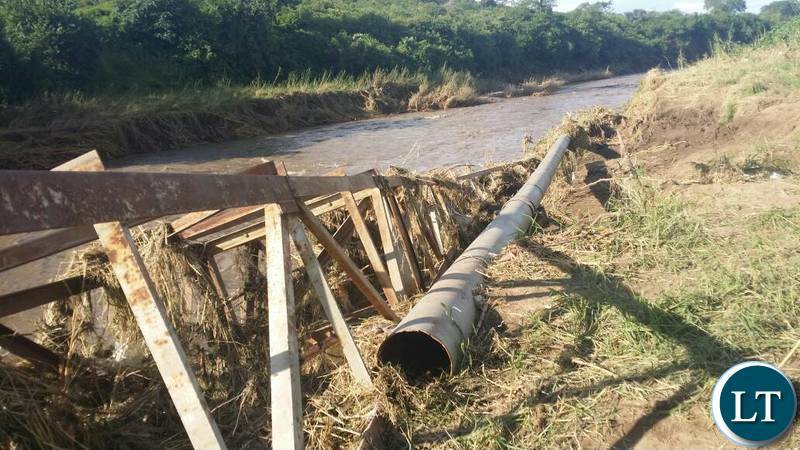 I have seen the draft, it reads something like this “The PF government through bad planning and corruption installed weak water pipes at Maamba which cannot withstand floods. When we take over power we will instal very strong pipes which can withstand even a nuclear explosion from Maamba power station”. Upndeez of course, who else can think like that? Kikiki. Where did the Government assist in this ?? It was MCL that jumped and repaired the pipeline not the government !!!!!!!!!!!!!!!! Stop trying to give credit when it is not due. ! If educated Zambians on the Blog talk tribalism what of the uneducated? It’s a shame that Zambians have become so tribal. A country that knew one Zambia one nation with a lot of intermarriages on the verge of now talking tribes. Hope we do not start encouraging our children to marry based on tribal lines. Shame on you who all link every issue to Tribes. A simple disaster should lead to tribe talk?? This is why we can’t move forward as a country. Social corporate responsibilities. As it should be. ONLY A TONGA MUST LEAD UPND says Sejani. Ploughing back to the community in times of need cant be better than this, bravo MCL for this gesture, you are truly a good corporate citizen setting up a good example for other corporate organizations to emulate. Other tribally inclined people in UPND would have seen this to be a timely opportunity to condemn and criticize the government to harvest cheap political mileage in their desperate bid to go to the state house. They find delight in the calamity and bad news befalling this nation. They are UNZAMBIAN and anti good news but GOd has shamed them through and through and he will shame the again when they lose in 2021 elections. HH A TICKING TIME BOMB TO ZAMBIA’S PEACE AND SECURITY. Why do you accuse UPND of tribalism?Sejani at the time spoke as an individual.He was entitled to his own opinion just like you.Sejani by the way has since joined pf. Lupiya Banda during the 2016 presidential election campaigns in Eastern province said “wako ni wako” and we know what that means.Why don’t you make a reference to that? Ba bemba become offended when you greet your own tribes mate in your language saying “mwayamba kulandi fitundu”.Why ? It is because, balikwata akapatulula akabi.The govt. is full ba bemba and their cousins.The few remaining non – bembas and non-easterners are being retired on public interest. What do you call this? Even then you continue labeling other tribes as tribal.Your own tribalism has blinded you.You and your party pf are the ones who a threat to peace and security of the nation because you are selling everything to the Chinese and even recruiting them as Police and Army officers. The bible says in Mathew 7:5 Hypocrite! First get rid of the log in your own eye; then you will see well enough to deal with the speck in your friend’s eye. LT Editor who wrote this article …its clear that this is written by Maamba Collieries Limited Media Dept!! Mcl is hiding it’s dirt doing buttering people that are very far distance. What have they done at Ma’amba hospital. Assistance of a plane owned by Ma’amba to a certain presidential candidate leaves Ma’amba partsan .